The Severomorsk large anti-submarine destroyer joined a group of Russian aircraft carriers led by the Admiral Kuznetsov. Russia’s Severomorsk large anti-submarine destroyer has entered the English Channel, the Defense Ministry said in a statement, adding that the ship was set to travel to the northeastern section of the Atlantic Ocean, TASS reports. "On May 30, the Severomorsk large anti-submarine destroyer passed through the Strait of Dover, the narrowest part of the English Channel," the statement reads. "Now the Russian destroyer will travel to the North Sea to reach the northeastern part of the Atlantic Ocean." The Severomorsk large anti-submarine destroyer set out for a lengthy mission on Oct. 15, 2016. While in the Mediterranean Sea, the ship joined a group of Russian aircraft carriers led by the Admiral Kuznetsov. 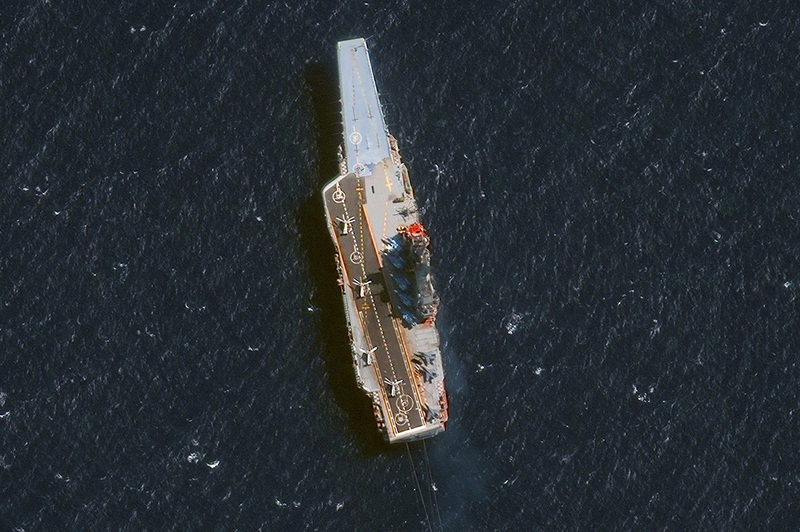 During the mission, the Russian ships participated in the AMAN-17 international naval exercise which took place in the Arabian Sea and on the territory of a Pakistani naval coastal base. Moreover, the Severomorsk crew visited ten ports in African and Asian countries, covering more than 37,000 nautical miles.